Named one of the top ten shows at the 2017 Edinburgh Fringe Festival, and profiled in the October 16, 2017 New Yorker Magazine. 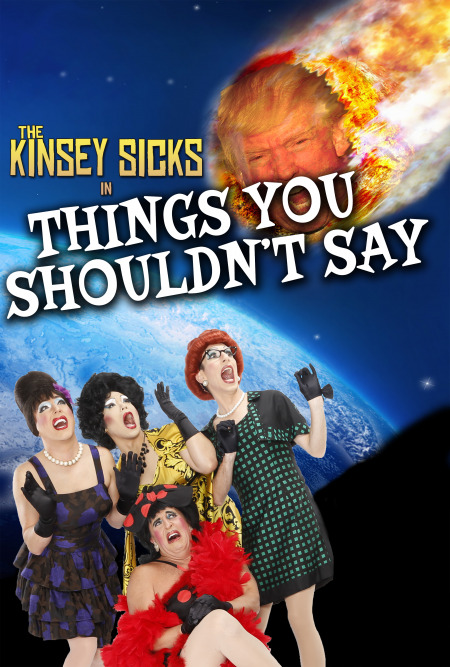 This is the remarkable true story of four friends from San Francisco who had a life-changing epiphany at a Bette Midler concert that led to them to form The Kinsey Sicks in an effort to find joy during the darkest days of the AIDS crisis. Now that the era of Trumpism is upon us, they’re sharing their hilarious, inspiring and at times heartbreaking tale, showing that hatred and deceit can be fought with humor and heart. Note: This show is overflowing with adult content. Discretion advised, in the absence of any at all from the Kinsey Sicks.